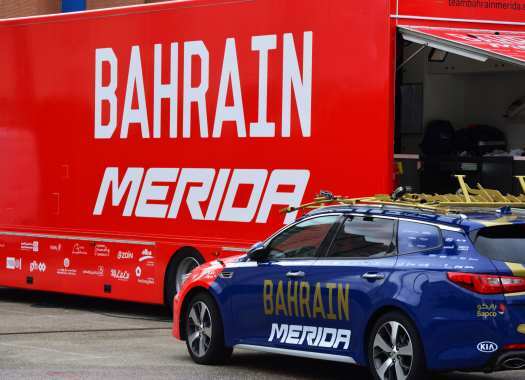 Grega Bole has renewed his contract with Bahrain-Merida until the end of 2020. The rider has been in the team since its inception in 2017. The Slovenian has been showing his abilities to win stages and help his teammates. During the current season, the rider won one stage and topped the Points Classification at the Tour of Japan. "I am very happy to be part of the team in the next two seasons," Bole commented. "The team breathes as one and it is nice to be part of such a positive atmosphere. I have always put my maximum for the good of my team, performed all tasks to the fullest and it will remain as such in the next seasons. I thank the team for having faith in me and I look forward to the upcoming successes." The team has shown its satisfaction with the role of the rider in the squad. "Grega is a significant help and a guarantee in day-long races, Belgian classics and one-day stage races," explained Sports Director Gorazd Stangelj. "He has repeatedly proved that he also finds himself in the role of a leader when this role has been assigned to him. We are very pleased he extends his cooperation with us because he is always well prepared and reliable from start to finish."